Are you looking for something new and different to do this holiday season? We know that, when sitting at home with family day after day, it can start to feel like you need to get out. Luckily, there are plenty of amazing events happening around Ardmore this time of year. One that you should definitely check out is the Ardmore Festival of Lights. This event is the ultimate way to get into the holiday spirit, and you have plenty of opportunities to go before the season is over. Check out how you can make this celebration into a whole night of fun. You have a ton of chances to see this light show since it will run from Saturday, Nov. 18 until Saturday, Dec. 30. On Sundays through Thursdays, you can see the festival of lights from 6 p.m. until 10 p.m. On Fridays and Saturdays, you get an extra hour; instead of closing at 10 p.m., it will close at 11 p.m.; therefore, you don’t have to let any of your other obligations get in the way of seeing this light show. Simply pick a date that’s most convenient for you, write it on your calendar, and head to the festival on the day you picked. You can find the Festival of Lights at Ardmore’s Regional Park. You may think that this is just a normal festival of lights, but you’re wrong. Instead, you get to drive through a mile and a half of some of the most stunning holiday lights you’ve ever seen. This is 10 times better than simply seeing lights in your neighborhood ­– this is the real deal. It has over 125 animated displays and is considered one of the largest holiday light displays in all of Oklahoma; this is definitely something that you don’t want to miss. 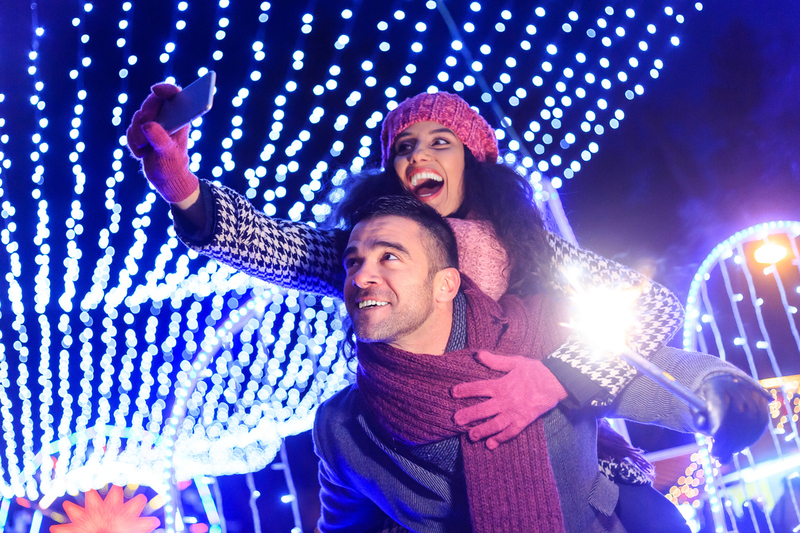 Do you want to take your time at the Festival of Lights to the next level? Then you need to come prepared. Make sure you have some holiday music on hand to play as you drive through the lights. You can even bring some hot cocoa along to really get into the spirit. You’ll be glad you came prepared to have as much fun as possible. You’re going to need a car to drive through the Festival of Lights. Get a new vehicle from Toyota of Ardmore in Ardmore, Oklahoma, to make sure you have the most beautiful ride around. That way, you won’t have to compete with the amazing light show all around you.